Thank you so much for all the dedication and hard work, so grateful for this podcast life changing, so knowledge and filling. I am open to all learning and ways to expand and grow and for that, I appreciate the information Aubrey connects with but every time I listen, I walk away sad and pray. Only in privilege can one be so lost and attached to the pleasures of life and need for the external (multiple beautiful women, plant medicines, etc) to bring enlightenment. Empty are the stories of serving others (unless serving only the elite white counts!). I am obsessed with this podcast, I treat it like a higher consciousness curriculum. Listening to Aubrey and his EPIC guests and stories helps me better understand MYSELF and how to find my own epic greatness! Thank you from my formless soul and every cell in my body! I just finished the interview with Mike Posner- I cant say enough how much I enjoy the comradery and exploration that happens on this podcast. Listening to Aubrey and his guests helps me to sort through lots of things that are happening in my own mind and my own life. It is so beautiful to hear someone articulate the pitfalls that we all fall into, as well as the ways we can all dig ourselves out. Thank you SO MUCH. Listening fulfills me in ways I can not articulate. After reading Aubreyâs book (which I loved and am reading for the second time), I was skeptical about the podcast only in that I assumed his book had been heavily edited by other experts and professional editors. Instead of the bro culture I was expecting, I've been pleasantly surprised by the depth of the interviews, the varied interests of the guests, but especially Aubreyâs humanity. He is so well spoken, articulate, and just the right amount of humor and f-bombs. Iâm finding myself with a new stack of books to read and instead of just the usual one profound takeaway, Iâm getting multiple per episode. This has totally risen to the top of my must listen to list. Such an experience listening to all of these podcasts. Truth is felt with each story from all these interviews. Always look forward to tuning into the next podcast. Thank you Aubrey for your words, authenticity, truth and love! Much love for you and all the exceptional people you have on the podcasts! This podcast has some amazing guests and topics but Aubrey has been talking over them more and more and letting them speak less and less. Would be interesting to track his talk time compared to his guests talk time. I would bet that his time is much greater. Quit interrupting and talking over your guests! Solid, but AM needs to practice listening. This is a good podcast with good guests, but AM interjects and interrupts way too often. It often comes back to discussions about him rather than him asking insightful questions and giving the guest proper time to answer. I wasnât sure at first if I would like Aubreyâs podcast but have really grown to like it and Iâm always looking forward to Wednesday mornings to see who is on. My perspective on a lot of things I was just closed to in the past has opened up as a result of his great guests and his experiences. Thanks! SUPER INFORMATIVE, INTELLIGENT, & INTERESTING!! The words that came to me when I wanted to write this was: warm, chill, light, honest, like a close friend, deep, laughter, different,...Aubrey youâve helped me put some big pieces of my âgame of life puzzleâ back into places! Thank you brother! One of the best podcasts out there. I canât tell you how many episodes I have listened to multiple times. I love how every episode speaks to all the areas most people are afraid to speak about. This is truly a life changing podcast. So blessed to get to enjoy it so frequently. I donât know about this pod yet or the website. He is a self proclaimed modern philosopher, which is false because he is just doing drugs and having the same experiences we all have on psychedelics...so I guess that makes us all philosophers. Most philosophers didnât claim they were that, they came up with their philosophies. AM is just spewing out what he reads, which is inspirational, but again...does not make him a philosopher. Heâs also very arrogant, full of ego, and clearly a narcissist because the conversation always comes back to him. Love JP Sears and the interview turned around and he was interviewing A.M.! And he let him! Aye aye ayyyye, get over yourself man and maybe youâd have something. This podcast provided great perspective on adjusting my ego and figuring out how to go about my current relationship. Would love to hear more about addressing issues thatâs arise in an open relationship. Amazing work Aubrey! 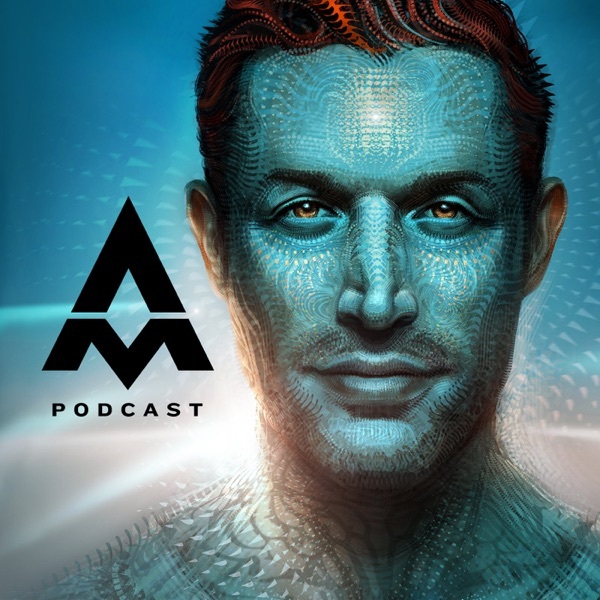 The Aubrey Marcus podcast is a vital part of my morning routine, it sets a tone of personal growth and allows me to orientate myself back onto the path each day. I freaking LOVED Aubreyâs podcast. Itâs insightful when it comes to psychedelics and health and fitness. He just got to where he brings up his open relationship into EVERY. SINGLE. ONE. Iâm not a small minded person. But the values that he has doesnât line up with this relationship concept. It seems like itâs such an EGO boost even though he claims itâs the exact opposite. âI can do this, but you canât.â âItâs not for everyone.â For him to be all about putting down the ego, I think itâs become a righteous thing for him and itâs bleeding into every detail of his podcast which is unfortunate. Own your day own your life. Filled with so much knowledge down to the raw. Thank you Aubrey. Aubrey has become a long distance mentor for me. It connects me to the loving side of me when Iâm stuck in the everyday claustrofuck of life.Thanks Aubrey for your wisdom and the space that you provide. Aubrey Marcus gets it. Heâs truly in touch with aspects of being that others merely âexperienceâ in glimpses. I simply cannot stop learning, growing, and developing from the vast hemisphere of knowledge regarding the one-of-three part of our being that Aubrey is so intimately connected to and that he so easily shares with us! This is the 1st, maybe 2nd, podcast review ever by me, and THIS podcast IS it. On average ive grown 2xâs from most podcast over say a 6mth period. This podcast however is dripping GOLD, from end to end, and my growth since listening to the good âol Aubrey I've grown 4x in like a 2mth period!! This podcast gives so much value to the listener, you canât help but feel gratitude to Aubrey for his wisdom and openness. It can be both challenging and grounding. It always delivers the authenticity that I seek when feeling disconnected or disillusioned. I learn a lot from each podcast. It helps to open up different conversations with my family and friends. Itâs something Iâm constantly looking forward too. I recommend this to everyone! The odds that this review gets lost in the ether and is only read by 7 people who actually take the time to scroll through iTunes reviews is astronomical. But idgaf. Iâm working on getting myself to be the rock that I can anchor to when things feel a little off in my life, but Iâm not there yet. Thatâs where this podcast comes in. Never fails to inspire and motivate. Much appreciation to all those who make this show possible. I've never quite heard a podcast like Aubreys! Such amazing content, totally binge worthy! give it a listen. The cure is near!! Thank you for all you do..
Itâs so nice to hear someone else talk about plant medicine, the medicine wheel, and the heroâs journey! Love you, man! Maybe weâll run into each other in Austin. So glad to have found Aubrey, he's new to me. Got it through Leary. Subscribed forever now! Would put 10 stars if it was possible! I canât say enough times how much I appreciate Aubrey for doing this podcast itâs really helped open my mind to a wide range of modalities thatâll get me to the next level, listening to this I feel like heâs my mentor always a good laugh or 2 as well which I love! Being open minded has been a huge step towards my mental freedom. I have gained tons of guidance and knowledge on my path through this podcast. Aubrey Marcus goes deep through the ideas of Steven Pressfield, the teachings of plant medicine, the philosophy of Jordan Peterson, and Jospeh Campbellâs heroâs journey. The most insightful episodes for me were Luke Storey, Mechad Brooks, Paul Selig, and Paul Chek. Jordan Peterson throws down as always. I hope these keep going on and I canât wait to see who is coming up next! Cheers! All the stuff that matters!!!! I have been listening to Aubrey for a few years now, and he has changed my life in so many beautiful ways. The amount of love and light he has brought into my life is unmeasurable. Thank you for everything you do Aubrey! Aubrey is an interesting guy but he definitely makes me appreciate Tim Ferriss' curiousity about his guests when he's interviewing them. Aubrey seems to ask questions just so he can expound on his profound wisdom. He gives them a moment to say a couple sentences and then interjects with his take for 5 minutes... instead of probing his guests further, he's focused on giving his opinions and appears to be way more interested in himself than his guest. Itâs clear that Aubrey has spent thousands of hours working on his mind and body to put himself in a position to where he can educate the masses with genuine sincerity. His guests always bring incredibly positive vibes, and thereâs no doubt that Aubrey wants only the best for everyone and everything on this planet. Amazing dude, amazing podcast. Since being introduced to Aubrey through Tim Ferris this has fast become one of my fav pods to tune into. The conversations go deep and align with my heart. Be ready to:Let go of limiting constructsChallenge your long held belief systemsReframe your conditioningOpen to expansive loveShed victimizing patternsBe introduced to exciting new peepsMiraculously get through traffic and actually sit in your car for 20 minutes longer just to finish listening. Recommended episodes are:Paul Chek (both are amazing)Luke StoreyChristine HasslerLewis Howes (a live episode where Ester Perrel makes an appearance)Canât really recommend this one high enough. Kudos to Aubrey for creating ear-gasms and full body chills. I listen to every pod at 1.5x except this one cuz I canât miss any of the words and Iâve never hit the 15 second rewind so often. I gotta catch all the nuggets of awesomeness. Aubrey is like that dear friend you make in ceremony that you feel bonded too even though you donât really know each other. I always look forward to these episodes. Maybe I donât smoke enough. I donât get the appeal. To each their own.